Any colour as long as it's black - Sugar, Darling? Ever chic, ever classy, ever cool. 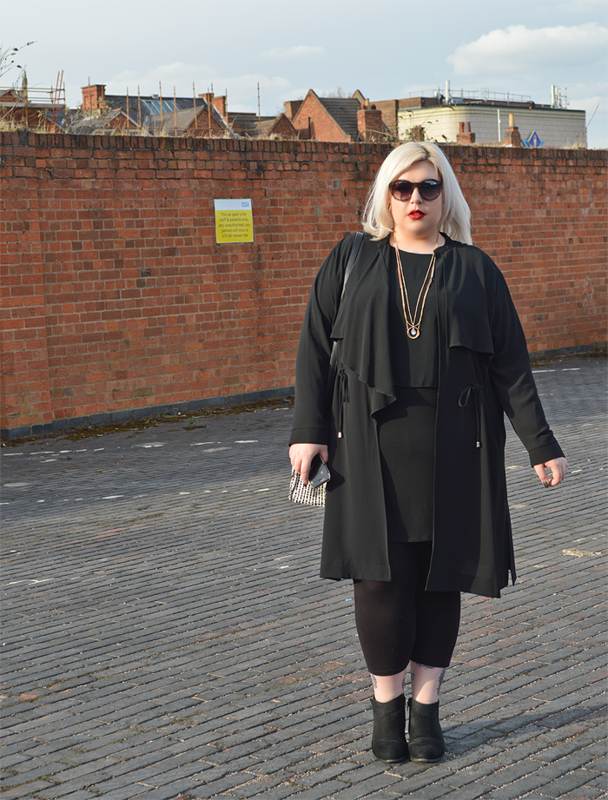 If you need a fail safe outfit you will never go wrong wearing all black. Even the simplest of pieces if worn in this one colour will look effortlessly stylish. I spotted a quote online from Yohji Yamamoto the other day that gives the perfect explanation - "Black is modest and arrogant at the same time. Black is lazy and easy - but mysterious. But above all black says this: 'I don't bother you, don't bother me.'". I think for a little while now Evans has had a reputation of being a bit frumpy and fuddy duddy, but over the last few years the company has come on in leaps and bounds. It's now more fashion forward and I have to say daring with its Cut for Evans and Design Collective collections. 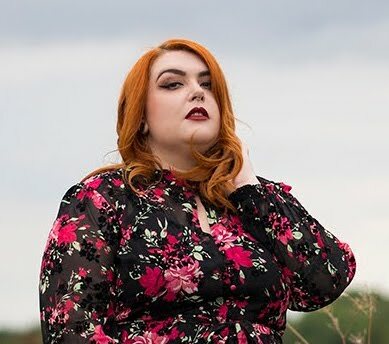 I think it was only fitting that the first plus size catwalk show at London Fashion Week was by Evans as for a lot of women they were the first brand that ever catered just for them. I think this outfit sums up how far they've come, both of these pieces are beautiful - unusual, wonderfully crafted, cleverly designed and they make me feel great. Well done Evans, you've made a come back to be proud of.